The Mozambican government has increased the price of liquid fuels by up to 26 percent with effect from Wednesday, APA has learnt. The Ministry of Mineral Resources and Energy said in a statement that the cost of a litre of petrol i by 12 percent to 74 US cents while diesel prices went up by 13.2 percent to 71 US cents a litre. The sharpest increase is for kerosene, whose price rose by 25.9 percent to 51 US cents while the price of butane cooking gas increased by 4.3 percent to 87 US cents. 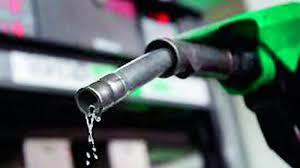 The statement said the government was trying to eliminate a general fuel subsidy that has benefitted all consumers regardless of need. The subsidy had become extraordinarily expensive since the government guaranteed that it would cover the difference between the price for which distribution companies bought fuel on the world market and the price for which they were obliged to sell it at the petrol pumps.